This was carried out on a 16 sheet (2m x 3m) advertising hoarding in Streatham, South London. 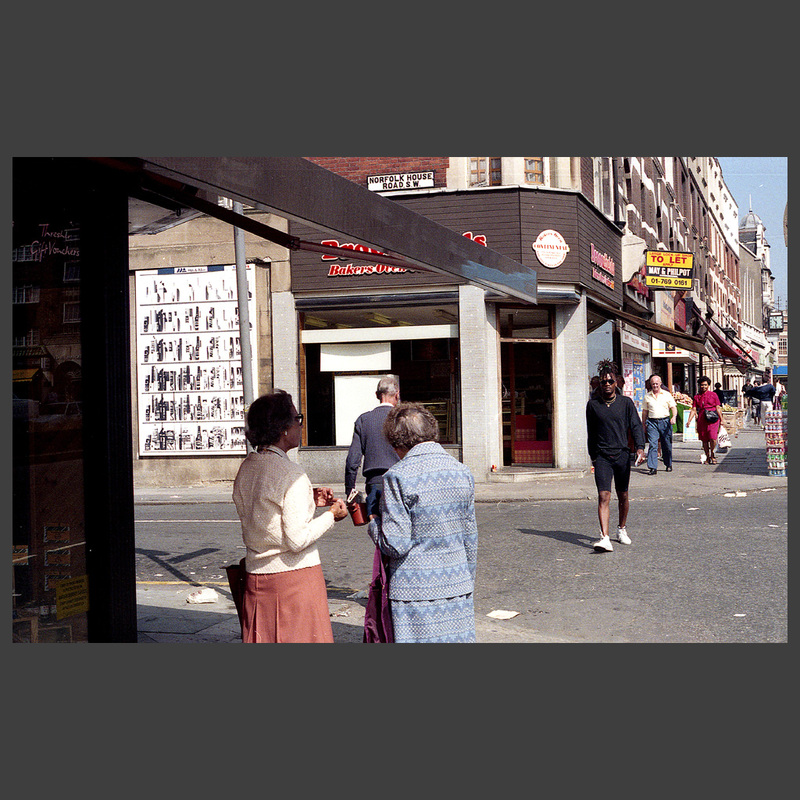 It was one of two pieces commissioned as part of the Lewisham Visual Arts “Shoplift” project. The poster explores our relationship to commercial products and their packaging. A shelf of different packaged goods was sprayed white to remove all reference to product identity and contents. 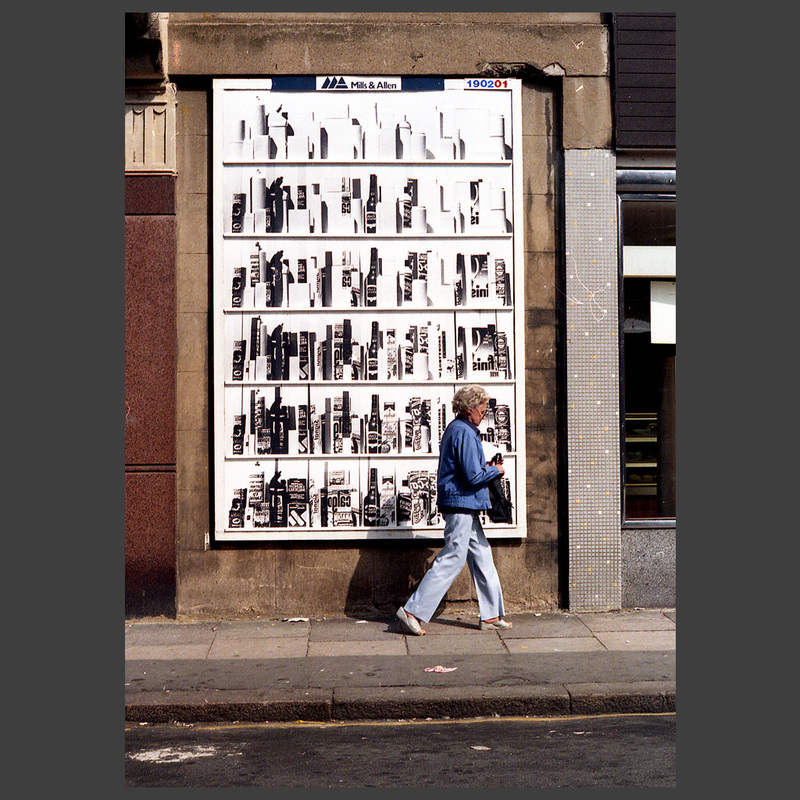 Life-size photographs of the original graphic imagery were progressively reintroduced in the form of thin strips of graphic information in front of the monochrome forms. Finally the “real” products were completely concealed by the layers of photographs which actually describe their contents. 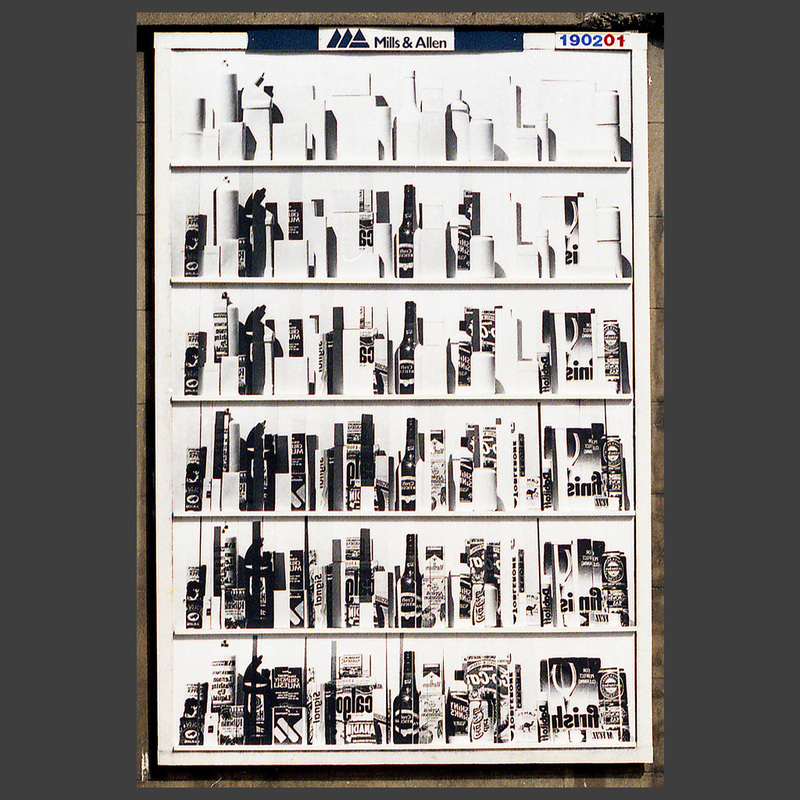 The sequential records of the above process were displayed in a vertical sequence, with the addition of three-dimensional shelf fronts. This set of shelves describes the progressive covering (or uncovering) of the products. Just to add a further complication, the photographic images are printed backwards to produce mirror images. So even when everything becomes really clear – it’s not. 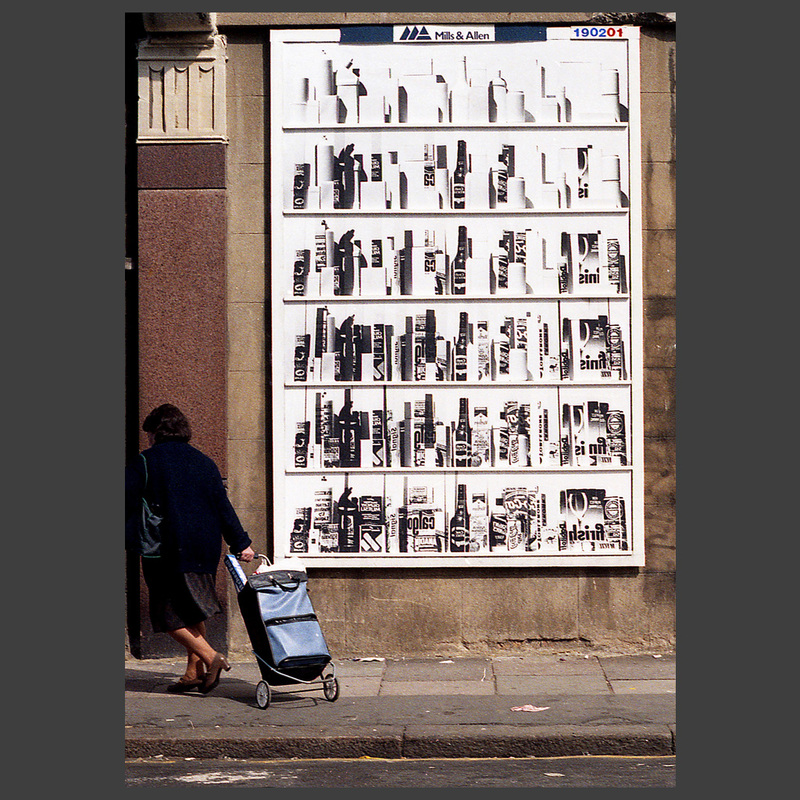 This was carried out on a 16 sheet (2m x 3m) advertising hoarding in Streatham, South London. 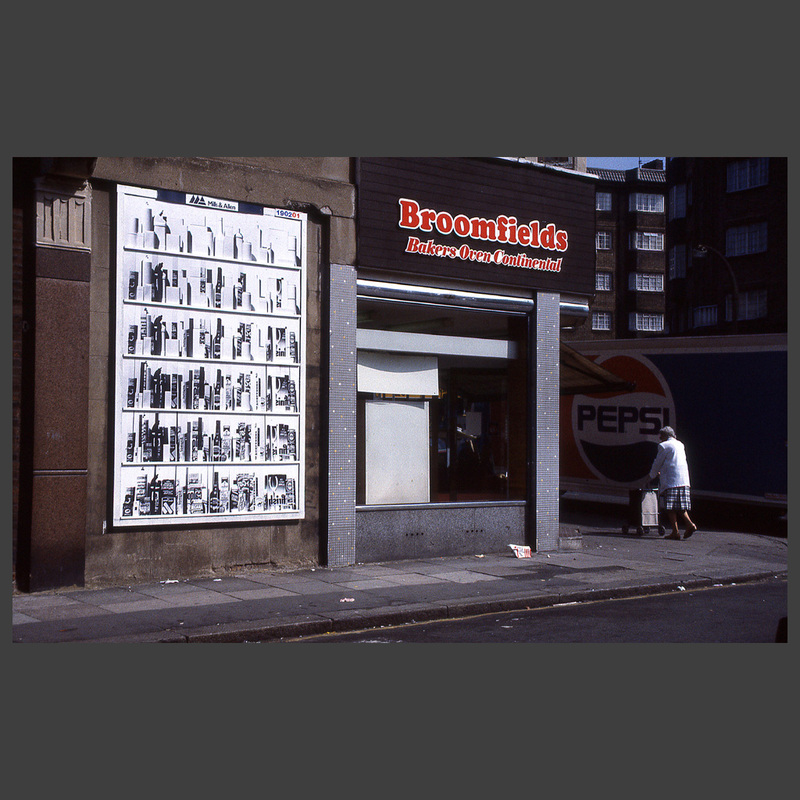 It was one of two pieces commissioned as part of the Lewisham Visual Arts “Shoplift” project. The poster explores our relationship to commercial products and their packaging.